How many 6×6 paper stacks do you own? A few? Possibly like me you have a bit of an addiction to buying them. I buy them because they are so good for scrapbooking pages but also because I think I’ll use them for card classes. More often than not I don’t or if I do I’m stuck with bit a pieces. This layout uses those bits and pieces of a 6×6 paper stack. One of my signature styles according to my husband is the pen border around my paper pieces. Well what can I say? I love doing it because it gives each piece a bit of definition. Another favourite of mine is to create 3 embellishment clusters. 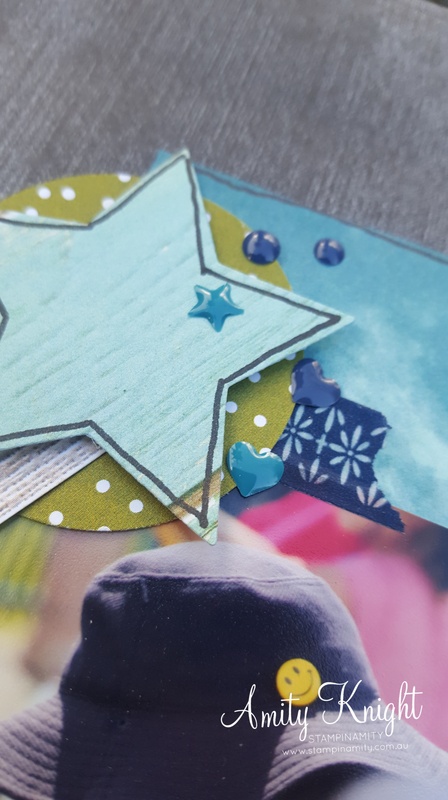 I love that these co ordinating papers give me the ability to make cheap embellishment clusters. It wouldn’t be a layout of mine without some journaling either and this time I’ve included a clise up of the story. I loved making this layout. It came together very easily because everything co-ordinates and I was able to stick to what I love and what feels right to me. You’ve arrived from Megan Lenske. Christmas supplies have always been my weakness. I normally buy so many papers and embellishments and stamps. Do you just go all crazy for Christmas supplies too? There was one set that completely captivated me in the holiday catalogue. With a ballet loving 10 year old how could I pass up Suagrplum Dreams? I mean it’s not just a Christmas set. Check out Jessica’s 10th birthday card. 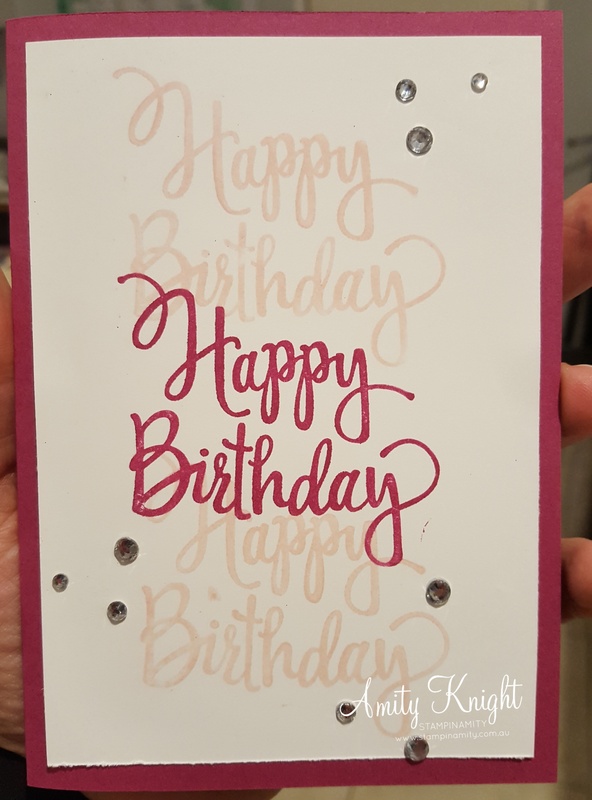 A very simple card using only 2 colours, Powder Pink and Berry Burst. 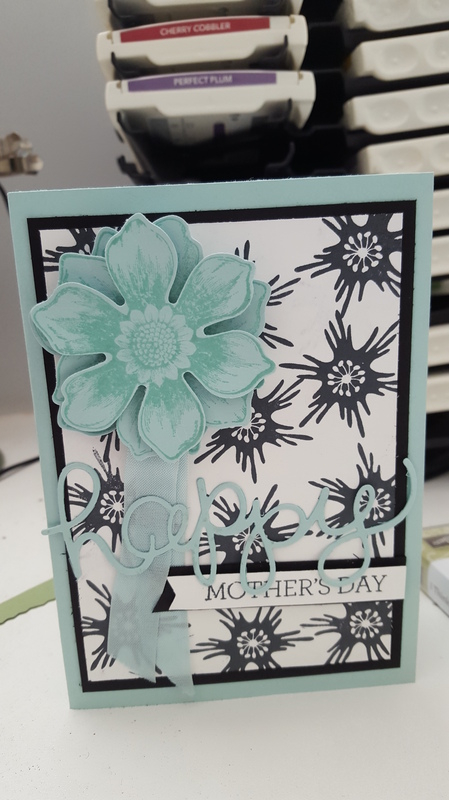 I love the tone on tone stamping for the background and the cardstock strip across the card. The strip is simply using the flower and leaves from Number of Years. 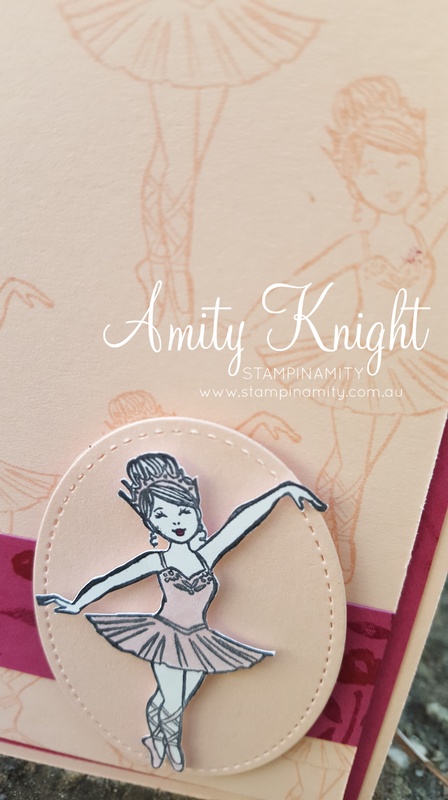 The only thing that was tricky with this card was fussy cutting the ballerina. I think totally worth it for the effect it has. Every year I create a December Daily type Christmas album and I love to look over how our Christmases have changed over the years so I am very pleased with the inclusion of the Merry Little Christmas Memories and More this year. It looks great and so easy to use. Be sure to check back in October after my retreat to see how I’ve started the album ready for assembly in December. Off to Courtenay now for some more wonderful creations. Enjoy the rest of the hop. There are times when you just need to quickly whip up a card. In these cases simple is best. 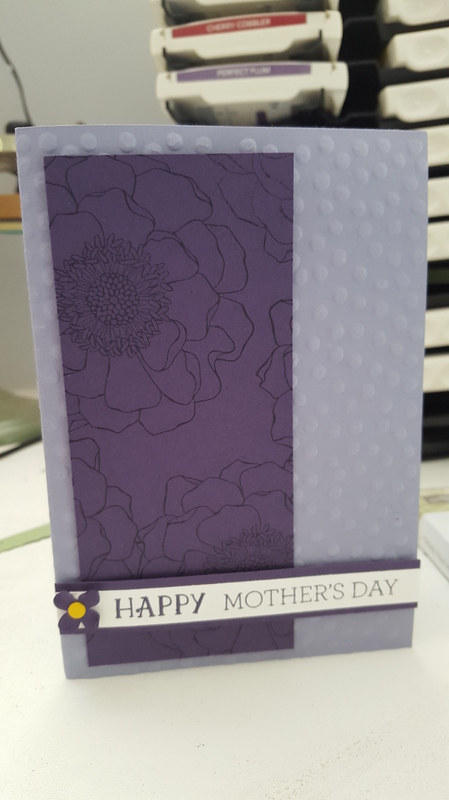 Totally the easiest card with only a base (14.8cm x 10.5cm) of co-coordinating cardstock and a layer of whisper white (13.8cm x 9.5cm). Quickly stamped using in-colours because I know they co-ordinate. Of course you have to start with the lightest colour top and bottom with the darker of the top in the middle. Add a few diamontes and you have a stunning but effective card in a few minutes. I was inspired by a post I saw where someone had created a black and white background using a flower centre. In all honesty, even though this set is one of my most used sets, this is the first time I have ever used the flower centre. Now remember when you’re creating a background you nees to ensure the images also go off the page. If you don’t the background looks broken up and un-natural. The rest of the card is fairly self explanatory. This next card was created using Blended Bloom. Oh, my goodness what a beautiful stamp. 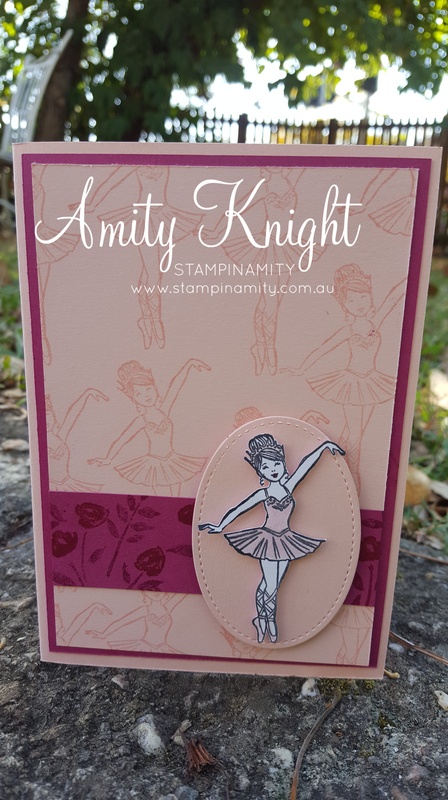 I love tone on tone and that’s why Stampin’Up! are just brilliant. Wisteria Wonder goes so well with Elegant Eggplant and when you stamp with Elegant Eggplant onto Elegant Eggplant cardstock it is simply stunning. My most used embossing folder is Decorative Dots and it’s retired too but guess what? There are some equally beautiful and versatile embossing folders that have come in so have no fear. 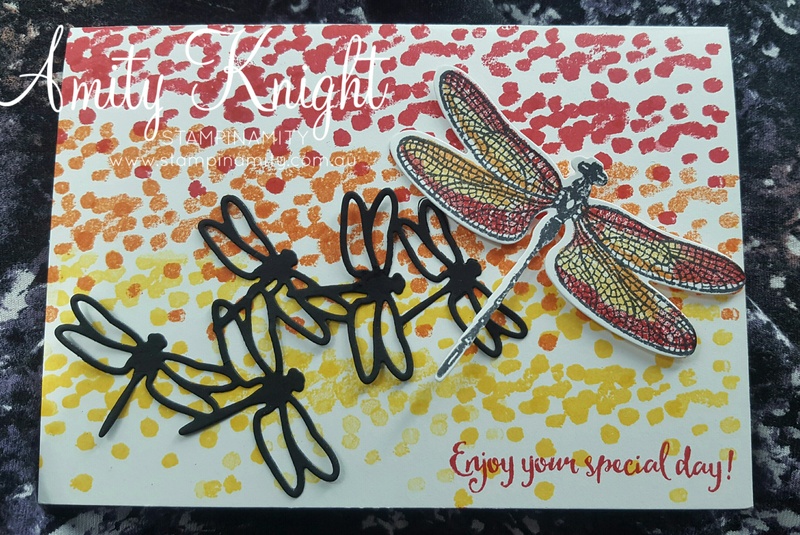 Thanks for the wonderful creations you shared Linda Whalley. Is it even possible to have favourites? This catalogue has some amazing products. I am always one for a scrapbooking page or two. That’s what I usually do on these hops. I rarely post photos of my cards even though I hold at least 2 classes a month. I should make sure I do that. As many of you know I love pocket scrapbooking and am an admin to a large facebook group. Of course using the new Memories and More I had to create a few layouts. Let me know what you think. These two pocket pages were using the Perfect Days Memories and More set. I love to use anything with and black and white base. It makes it so easy to use. So much more versatile. This side is of page is the Louvre. I used a a more colourful selection of cards. You will see on the reverse side there are cards from the same kit however I have used black and white only so they would match my photos of Notre Dame. With a few embellishments these can be stunning pages but of course you can ALWAYS just use the cards as is. No need for embellishments. What do you think? 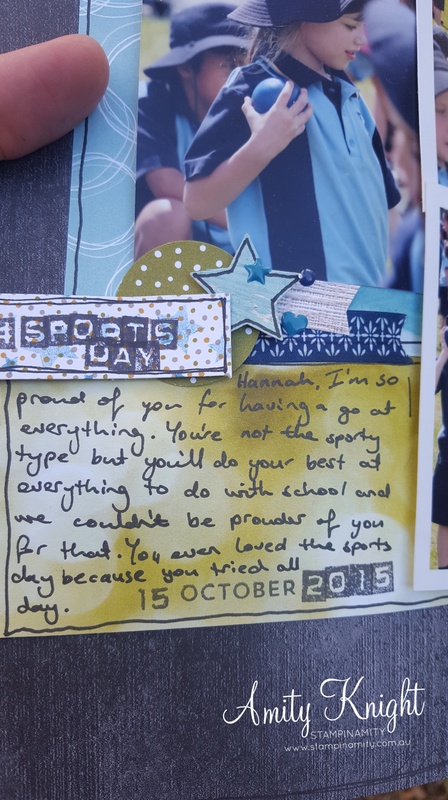 Would you like to pocket scrapbooking for your memories? For this page I used the Designer Series Paper Coffee Break to create a page about our trip to Europe last year. These photos are from our first day adventuring around Paris. Coffee was a must and these papers were perfect for this page. I fussy cut the cups, coffee pots and plunger from paper in the set. 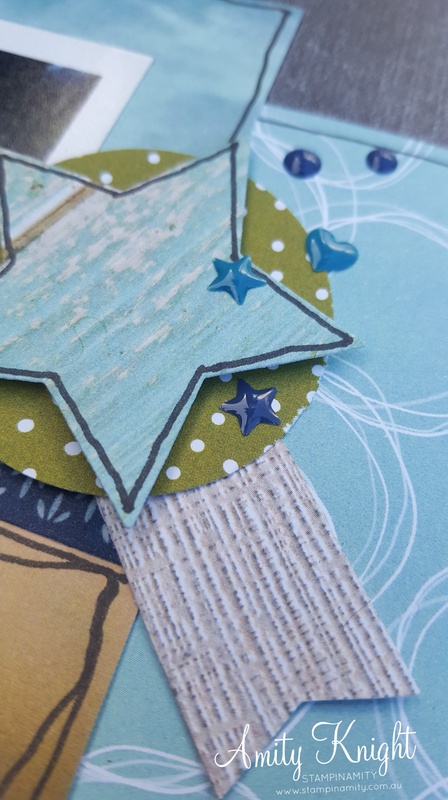 I like the way I was able to create some beautiful embellishment clusters using this paper. I don’t mind fussy cutting. It is a mindless task and easy to complete when you want to craft but are a little bit tired or lost for direction. I hope you enjoyed all my creations. Here is a full list of blog participants. Please make sure you leave some comments as you hop around. 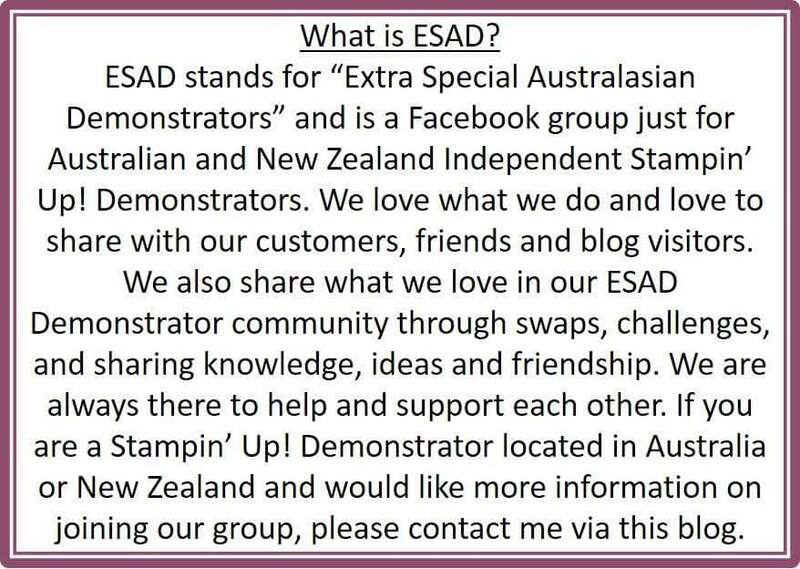 If you’d like to know a little bit more about ESAD please comment below.